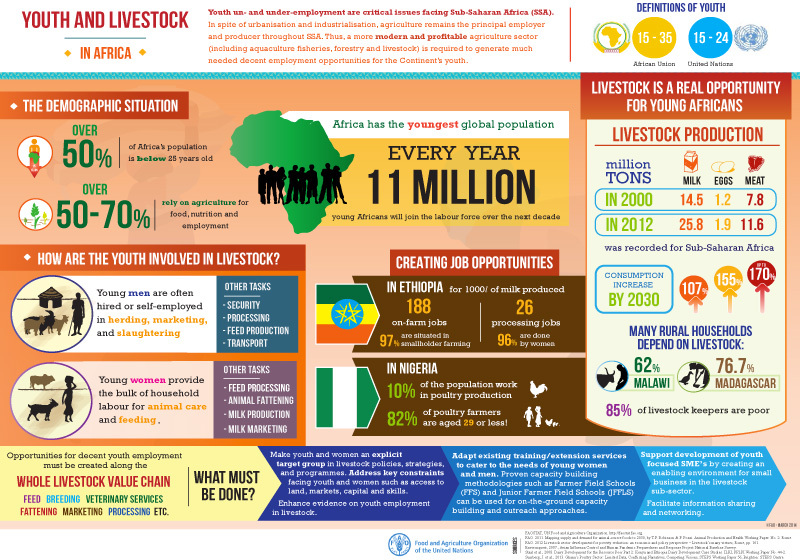 Youth un- and under-employment are critical issues facing Sub-Saharan Africa (SSA). In spite of urbanisation and industrialisation, agriculture remains the principal employer and producer throughout SSA. Thus, a more modern and profitable agriculture sector (including aquaculture fisheries, forestry and livestock) is required to generate much needed decent employment opportunities for the Continent’s youth.